The designs for the Hazelnut Inn are proceeding in an ever more detailed manner. The broad strokes are finished on the plans and the engineering is largely complete. Now it is time to start on the finer points. We are doing many sketches and concept drawings along with samples. Each is being reviewed and if approved added to the mix. Each approval informs the overall design as we proceed. One of the small items is the brackets under the eaves of the North Star suite. This room will carry a distinctive nautical theme. Today I designed and fabricated a sample piece for consideration. 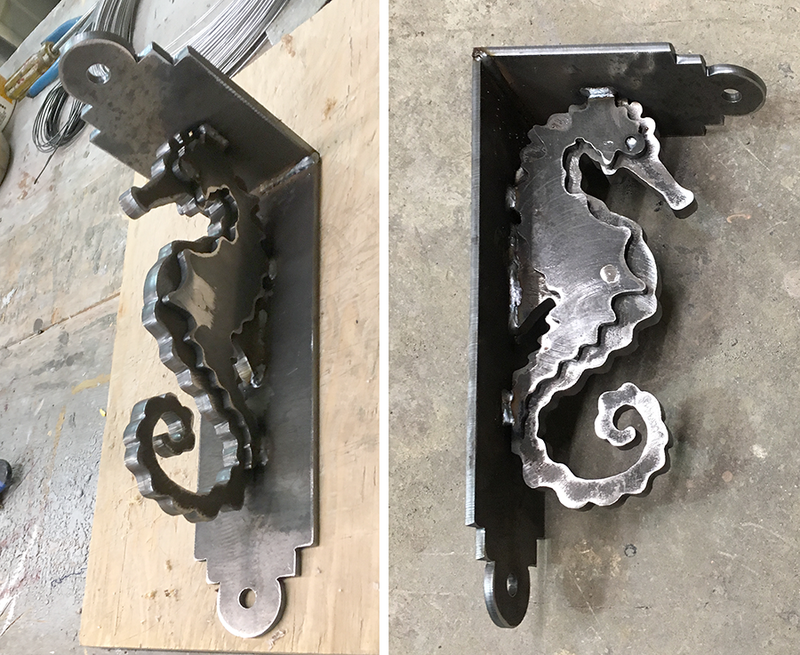 The sea horse bracket is plenty sturdy, cut from half and quarter inch thick steel plate. We'll see if it passes muster in the coming week.